Artificial Intelligence (AI) offers a wide range of capabilities that are being used by almost every industry in some form or the other. Due to incredible technological advancements in this field, AI has generated considerable interest in countries across the world. They have realized its immense potential and are, therefore, promoting its use and development for economic growth. Every country has its own unique strategy for AI. Each strategy focuses on various aspects such as data and digital infrastructure, skills and education, scientific research, public and private sector adoption, talent development, etc. NITI Aayog proposed an integrated two-tier approach for boosting AI research in India. The first approach involved the setting up of Centres of Research Excellence (COREs) which will focus on fundamental AI research. The second approach involved the usage of COREs as technology feeders for the International Centres for Transformational AI (ICTAIs). ICTAIs will focus on developing AI-based applications in areas which have societal importance. Agriculture, Healthcare, Education, Smart Mobility, and Smart Cities were chosen as the priority sectors which will benefit on a social level from AI applications. The main goal of NITI is to set up India as an “AI Garage”. The idea here is to enable the developing world to gain access to Indian-made AI solutions. According to a Govini report, $7.4 billion was spent by the Pentagon in 2017 on AI and its supporting fields such as cloud computing and big data. In June 2018, the Pentagon announced a new Joint Artificial Intelligence Center that will have a total of $1.7 billion to spend over five years. In Feb 2019, President Trump signed an executive order on “Maintaining American Leadership in Artificial Intelligence.” The order called on US companies to “drive technological breakthroughs in AI across the Federal Government, industry, and academia in order to promote scientific discovery, economic competitiveness, and national security”. The order further encourages agencies to “enhance access to high-quality and fully traceable Federal data, models, and computing resources, promote sustained investment in AI R&D and train the next generation of American AI researchers and users“. In March 2017, Canada became the first country to announce a national AI strategy. The Canadian government’s federal budget detailed the launch of a five-year Pan-Canadian Artificial Intelligence. It planned to invest C$125 million in AI research and talent. The national AI strategy is being led by the Canadian Institute for Advanced Research along with the Canadian government and three new AI Institutes: the Vector Institute in Toronto, MILA in Montreal, and the Alberta Machine Intelligence Institute (AMII) in Edmonton. The key difference in Canada’s AI strategy from other government strategies was that it primarily focused on research and talent. It didn’t include policies found in other strategies such as investments in skills development, data and privacy, and other sectors. The country’s end vision is to enhance Canada’s international profile as a leader in AI research and training. The Chinese government announced its AI strategy by issuing the New Generation Artificial Intelligence Development Plan (AIDP) in July 2017. The plan earned the distinction of the most comprehensive of all national AI strategies, with goals and initiatives for industrialization, R&D, education and skills acquisition, standard setting and regulations, talent development, security, and ethical norms. The aim is to develop an AI industry worth 1 trillion RMB by 2030, with related industries worth 10 trillion RMB. 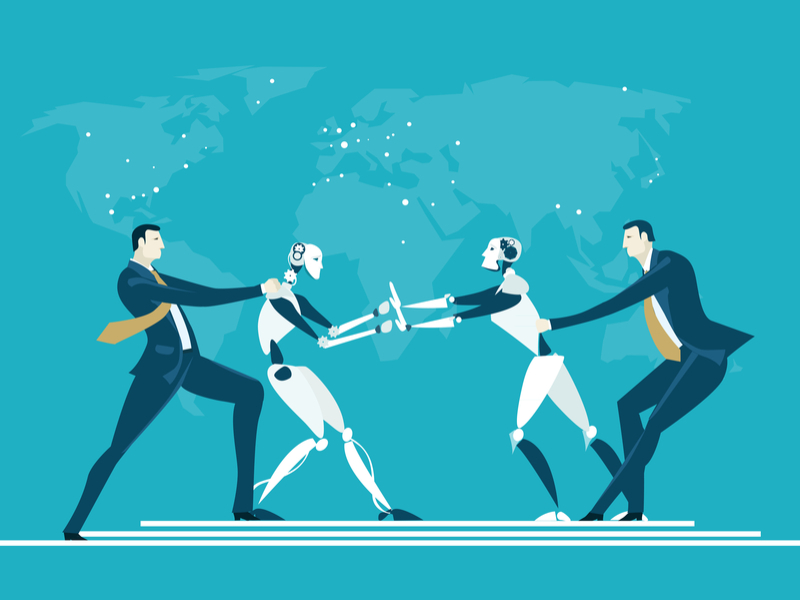 The AI strategy also lays out a plan to strengthen the training of the domestic AI labour force, recruit the world’s best AI talent, and lead the world in laws, regulations, and ethical norms that promote AI development. The Chinese government has also planned to develop AI research and industrial leadership by partnering with national technology companies. It has already begun work on a $2.1 billion AI research technology park in Beijing. In the field of AI, Russia’s private sector has achieved success in image and speech recognition. The public sector’s AI research involved the development of a variety of weapons as missiles, aircraft radars, electronic warfare, and unmanned systems. In 2018, several initiatives were launched by the Russian government to better unify private and public AI research. Finally, in January 2019, President Putin instructed his government to create a national strategy for Artificial Intelligence with a June 15th deadline. As per Putin’s instruction, the government is aiming to create an “AI infrastructure”. Creating this infrastructure would include the complete unification of the public and private sectors to mobilize an AI breakthrough. To compete with its compatriots, it’s also planning to spend millions of dollars specifically on AI research and development. Through its national AI strategy, the country’s vision is to become a modern digital economy and turn into a major science and technology development power. At the 2018 World Economic Forum Annual Meeting, the Theresa May government announced that it was determined to establish the UK as a world leader in AI. Consequently, in April 2018, the government released the AI Sector Deal. The deal aimed to advance the UK’s AI ambition and position itself as a global leader in the field. In March 2018, France announced its plan to transform France into a global leader in AI. Presented at the “AI for Humanity Summit” in Paris, the plan had four main components. The Emmanuel Macron government will invest a total of €1.5 billion in AI in the next four years. 60% of the funds will be governmental and 40% will come from external investment. Out of the budget, €700 million will go towards AI research, $400 million to industrial projects in AI, €100 million to AI startups and companies, and €70 million annually through France’s Public Investment Bank. AI has become the new focus of international competition. The amount of investment and research that each county has placed on this technology is astounding. Using this technology to proliferate innovative weapons may give a tactical military advantage, which is only temporary. The true winners will be those countries that use AI for the societal and economic growth of their nations.